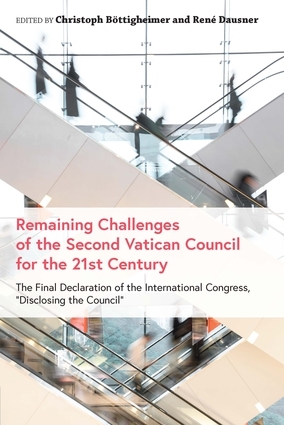 This book looks at the outcome of the Second Vatican Council 50 years after its conclusion. The main question that the book answers is, "what can we learn from this epochal assembly today and for the rest of the 21st century?" Christoph Böttigheimer is a Professor of Fundamental Theology at the Catholic University of Eichstãtt-Ingolstadt. He received his doctorate from the University of Munich, and is the author of many publications dealing with topics including fundamental theology, ecumenics, and ecclesiology. René Dausner received his doctorate from the University of Bonn, wrote his post-doctoral dissertation at the Catholic University of Eichstätt-Ingolstadt, and is currently a professor of Systematic Theology at the Technical University of Dresden. His research and writing focus on fundamental theology, dogmatics, interdisciplinary discourses in philosophy, and Jewish-Christian dialogues.